Home>About>SWEET Blog>Uncategorized>Popcorn Pumpkins, Spooky Corn & More! Popcorn Pumpkins, Spooky Corn & More! Seasonal Items are in Store! There’s all kinds of fun going on in our retail locations! 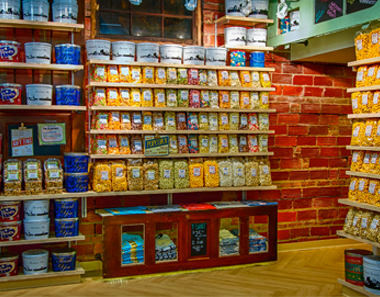 There’s no end to the creative confectionery creations we come up with at Campbell’s Sweets! 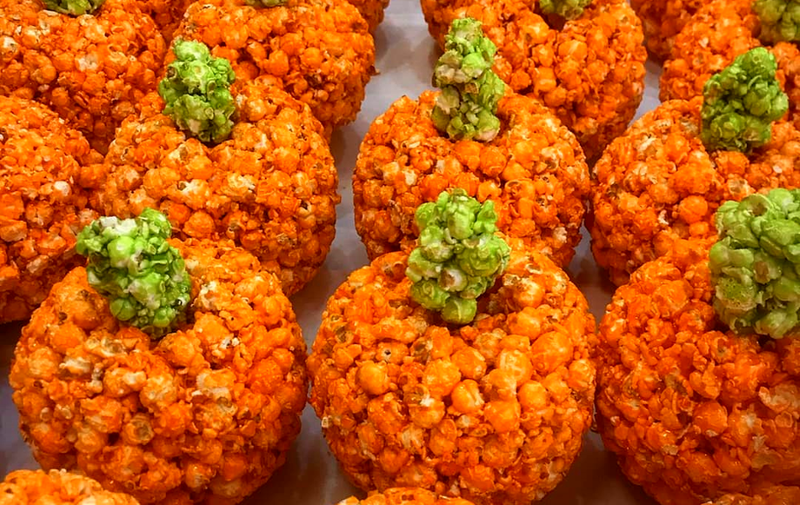 Popcorn pumpkins, Halloween-ready Spooky Corn, Caramel Pumpkin Cupcakes and more! Make sure you follow our social media to stay up to date on any new flavors or special announcements to get your sweet fix! 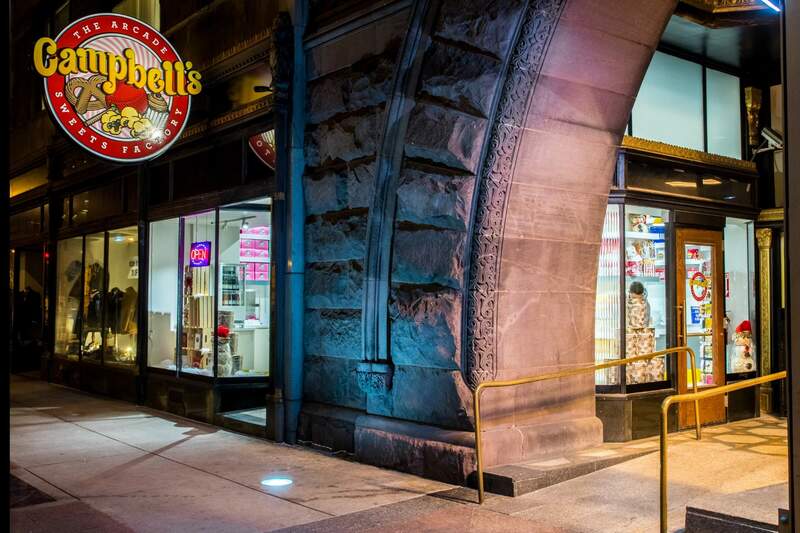 We’re constantly offering great prizes, delicious rewards and amazing deals, so don’t miss out on all that’s happening at our store locations! 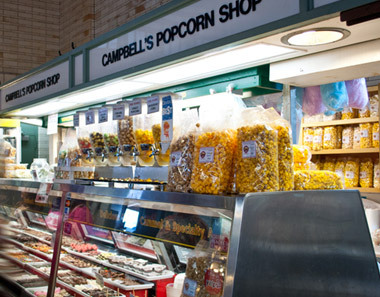 Campbell’s has a bunch of great options to offer for Weddings & Events! 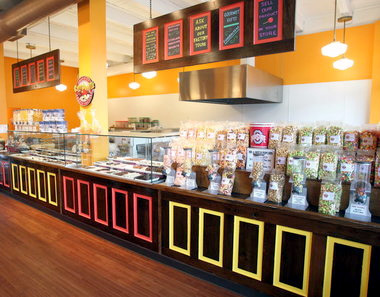 Whether it’s gourmet popcorn bars, popcorn favor bags, chocolate tray arrangements, decorative cupcakes or one of the other great products we have to offer, there are plenty of ways to feature our delicious goods on your big day! Check out our Weddings & Events page for even more ideas and details on our event offerings! Show your Heart for CLE! Our new “I Heart CLE” tins are flying off the shelves! 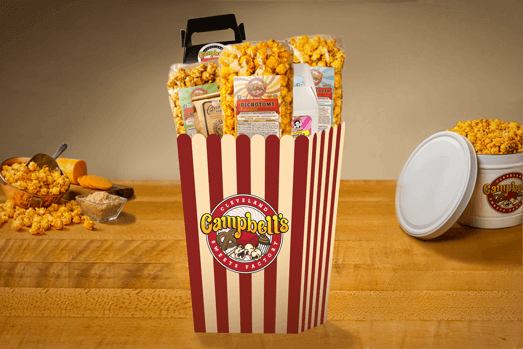 These new Campbell’s-exclusive designer popcorn tins are available in-store and online now, in our 2 Gallon and 3½ Gallon sizes, fillable with any of our gourmet popcorn flavors! Order Cleveland’s favorite popcorn in this great Cleveland-themed tin today! Being through the warm months means we’re able to ship our hand-dipped chocolates, so they’re back on our web shop! Grab some of our Chocolate Buckeyes, in both 12-Count and 18-Count packs, or a mixed assortment of classic sweets with a pack of our Hand-Dipped Variety Chocolates! There’s sure to be something to fit your fancy! And as always, these items and more are available on the Uber EATS app, so order today!